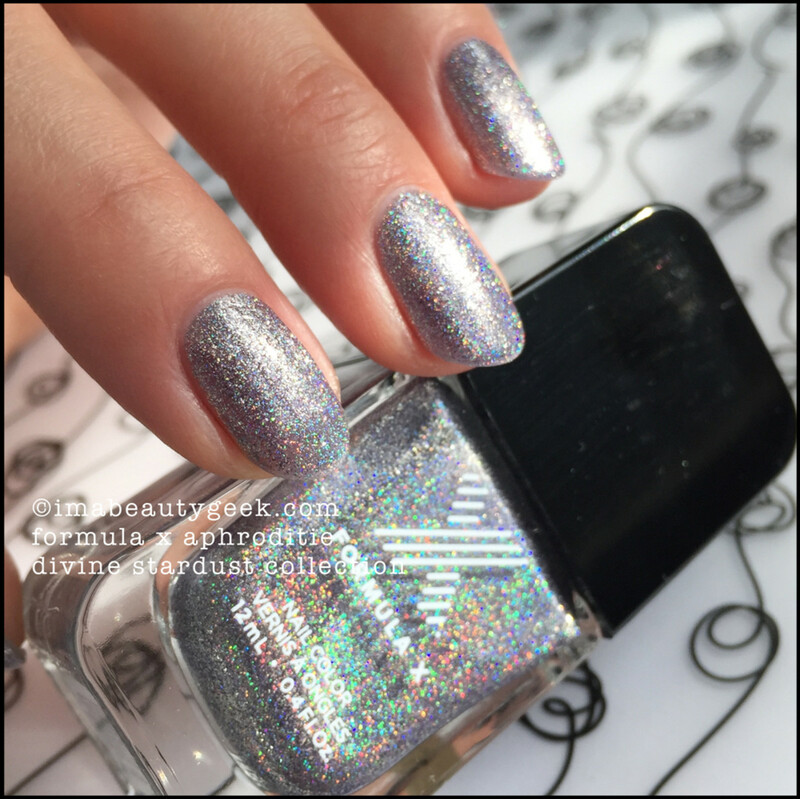 Glittery limited edition mainstream holo-tastic sparklies! Plus a time-saving tip if you wanna speed up the painting process. Polish nerds! I’ve had this sitting on my desk for weeks and while I’m still sort of broken, if I don’t show it to you soon, you might miss it. It’s limited edition so we gotta look at it rightrightnow! What is it? 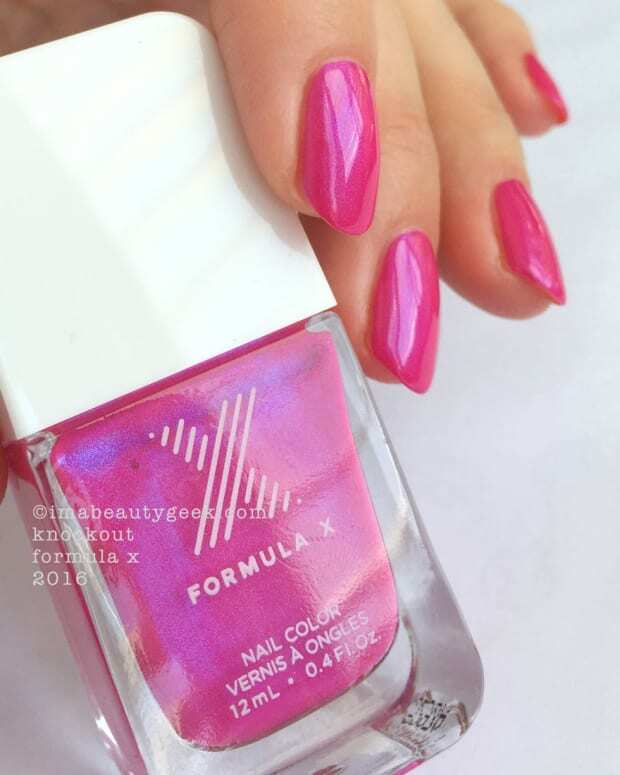 It’s “a shimmering collection of nail polishes with a supernatural, holographic finish when illuminated”. That’s what Sephora says. And really, I don’t know about the supernatural part but I do know about the holo part. Yep, they’re holo. And hard to shoot. 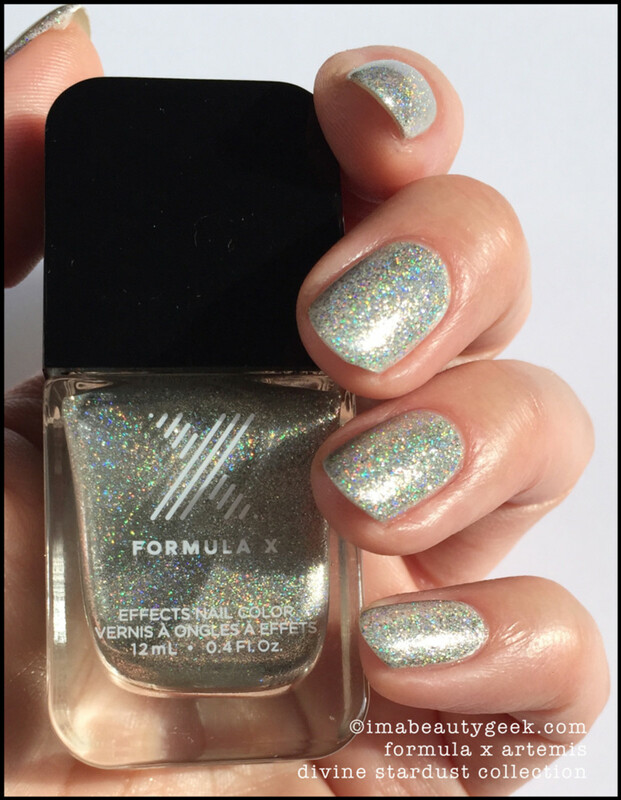 Formula X Artemis – Limited Edition Stardust Collection 2016 (above). 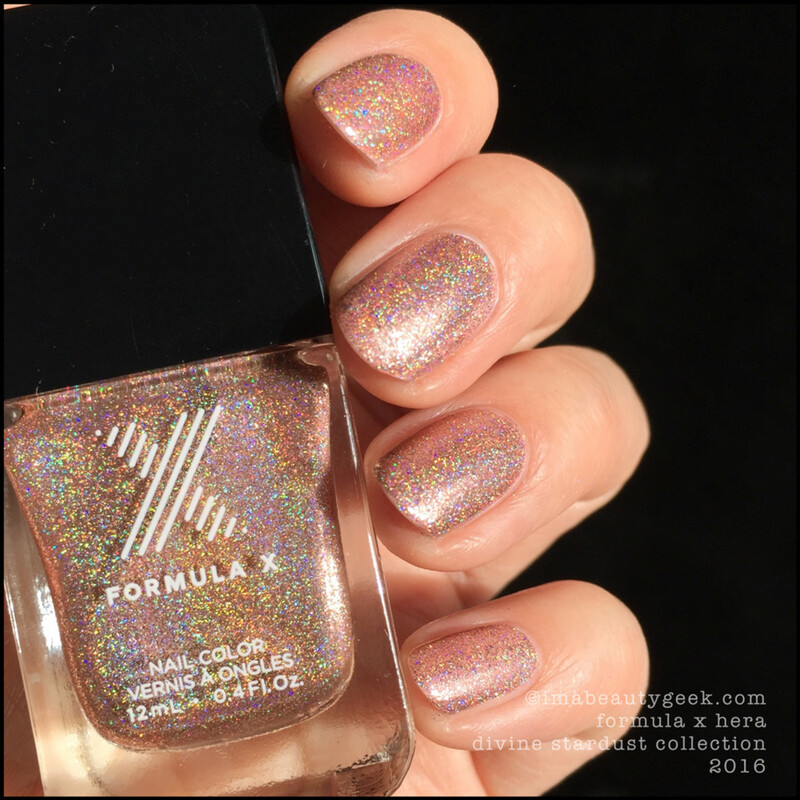 Formula X Artemis – Stardust Collection 2016 (above). 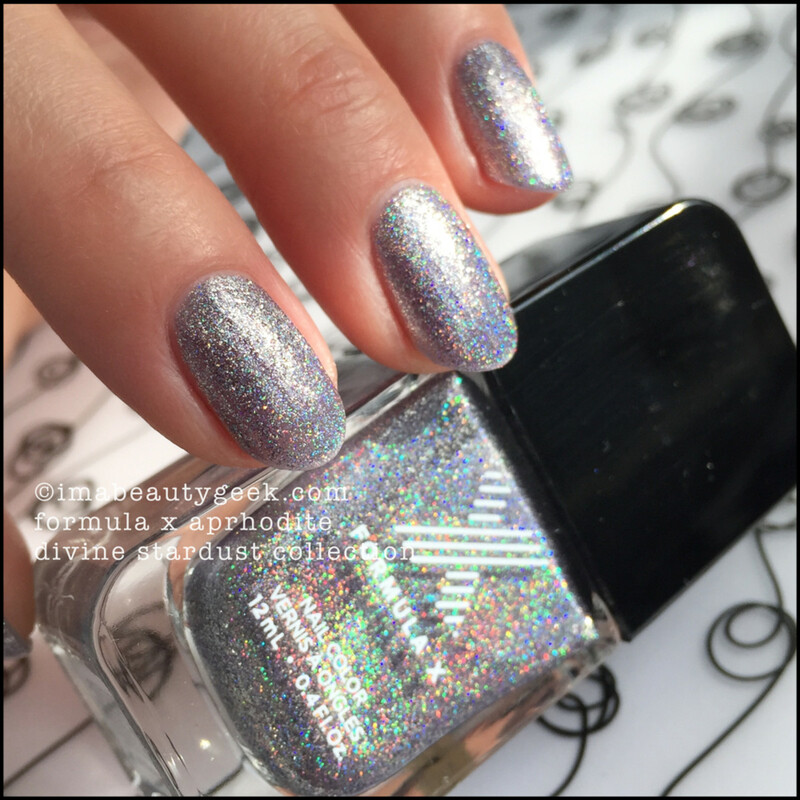 Formula X Aphrodite – Limited Edition Stardust Collection 2016 (above). 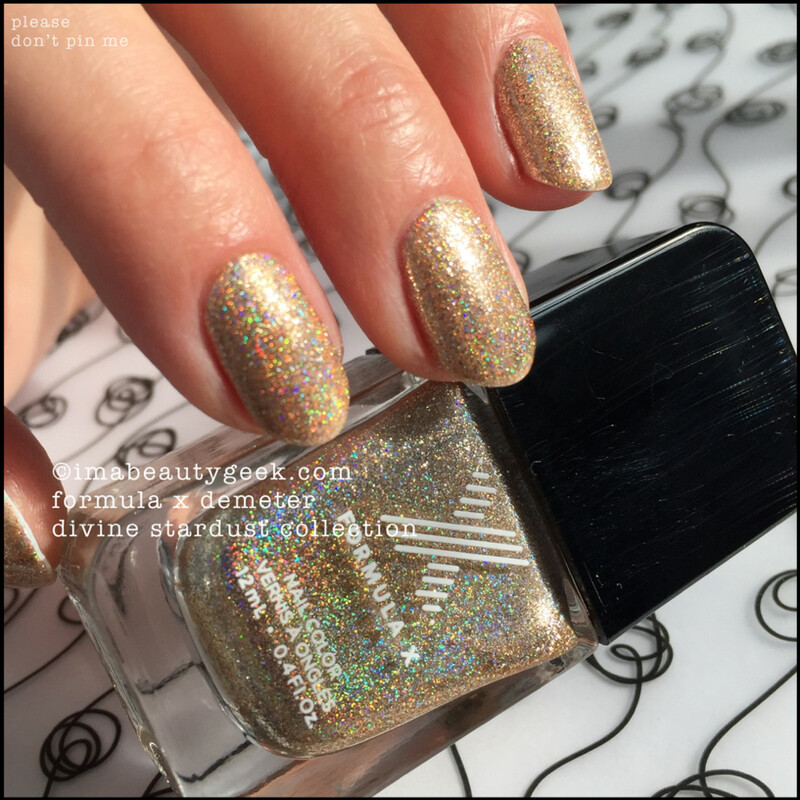 Formula X Aphrodite – Stardust Collection 2016 (above). 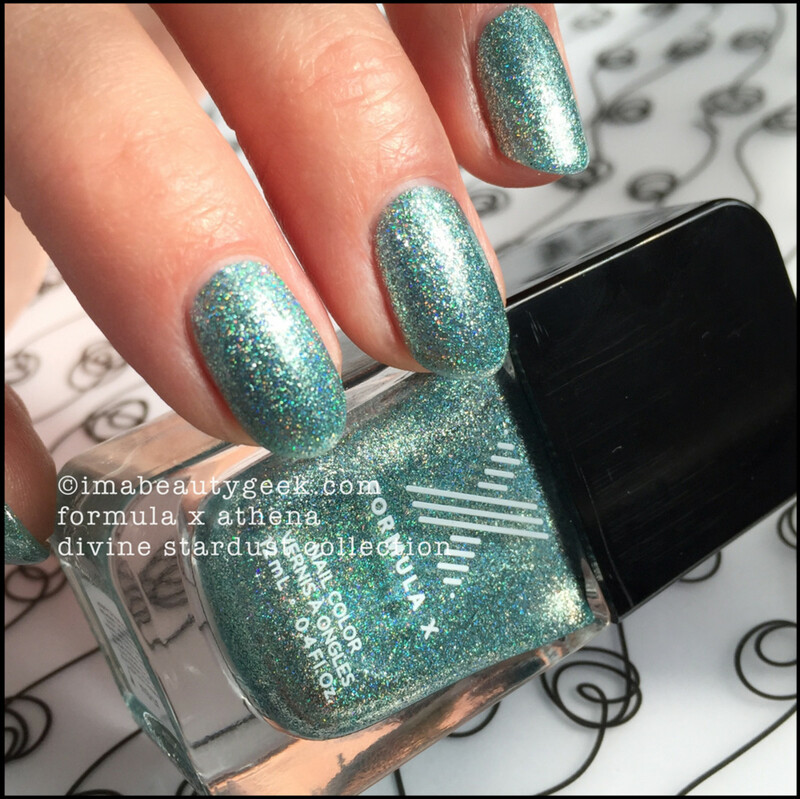 Formula X Athena – Limited Edition Stardust Collection 2016 (above). 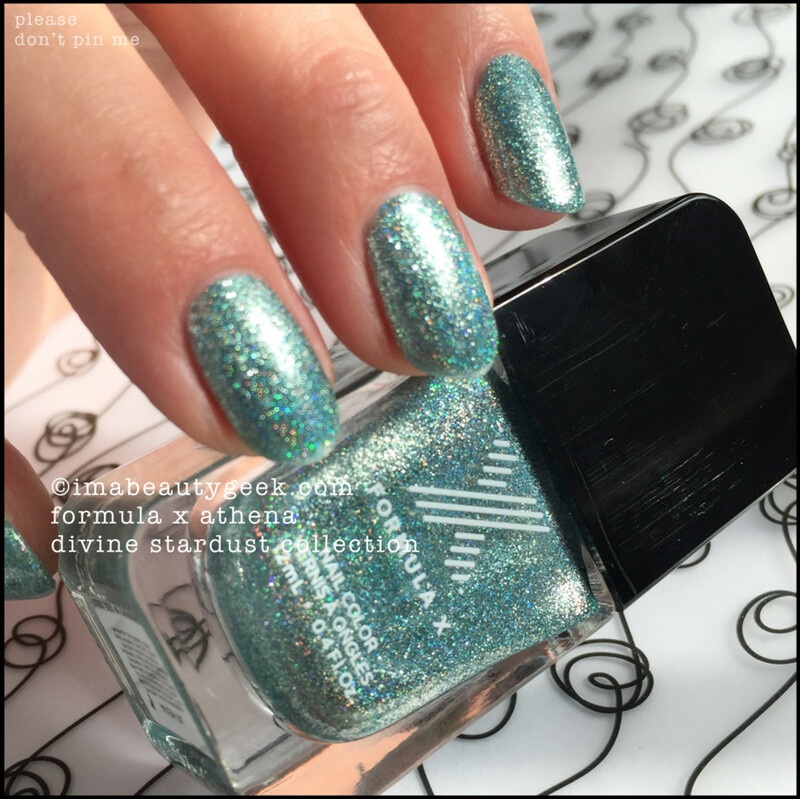 Formula X Athena – Stardust Collection 2016 (above). 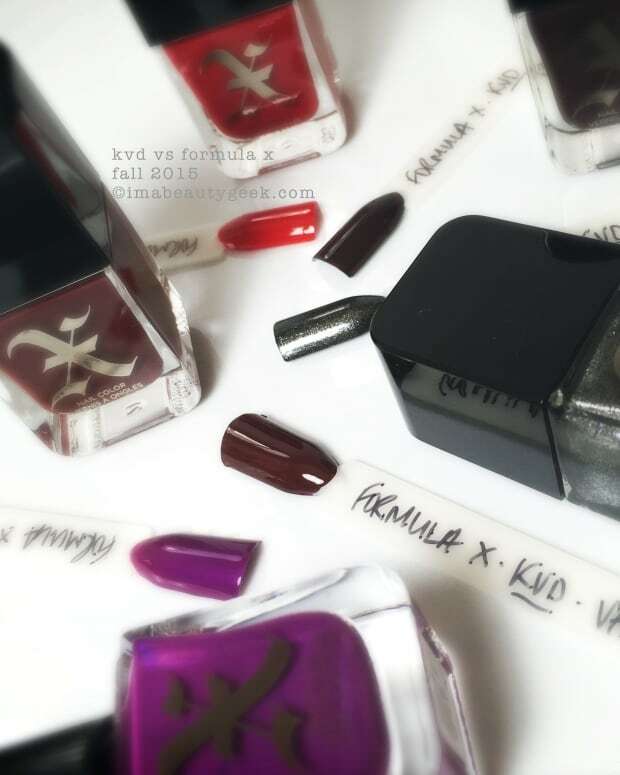 Formula X Demeter – Limited Edition Stardust Collection 2016 (above). 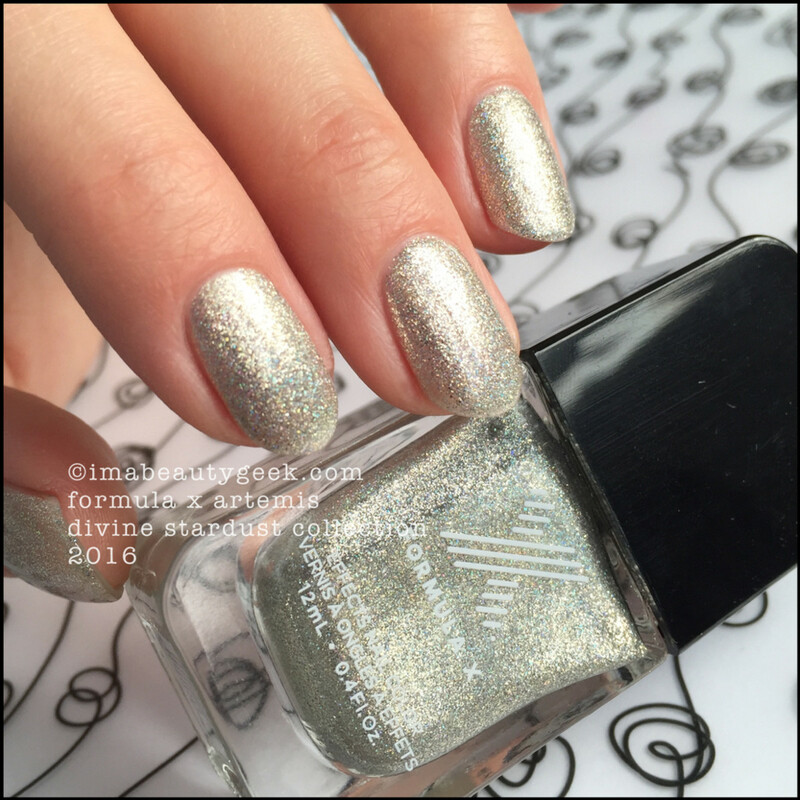 Formula X Demeter – Stardust Collection 2016 (above). 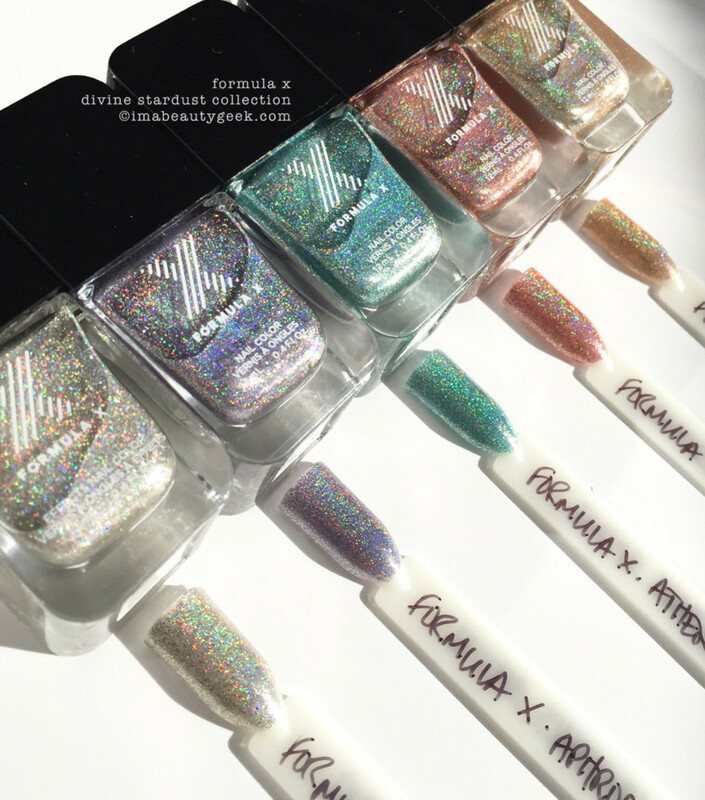 Formula X Hera - Limited Edition Stardust Collection 2016 (above). 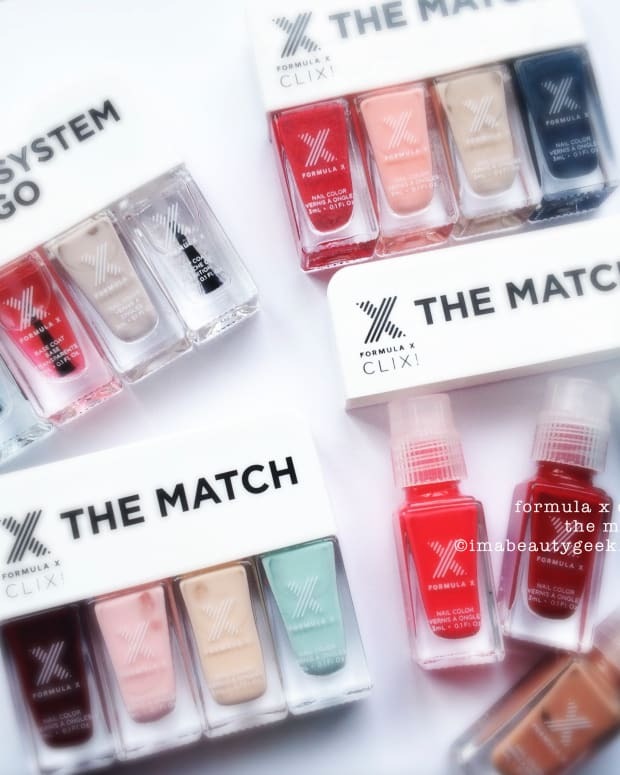 The Skinny: Named after Greek goddesses, these are all somewhat sheer and to eradicate all visible nail lines (VNL), you’ll need at least three coats. That’s not terrible if you have time to sit around and watch paint dry. After swatching a couple of these, I realized watching paint dry is not for me. What did I do? I whipped out my bottle of Essence Wild White Ways (I’d link you but their site is being revamped), slapped on a quick (and imperfect) coat of white undies, and then hit that with my Stardusts. With underpants, you can cut the coats of Stardust down to one or two to get rid of all VNL. Genius, right? Availability: The Formula X Divine Stardust Collection is limited edition available exclusively at sephora.ca and sephora.com. Right now, they’re all still in stock both here and in the US. You gonna?